The Patriots head into training camp next week and there should be no shortage of competition at a number of spots. As a lead-in to the beginning of camp, we’ll break down the positions and give our take on who is a lock, a near lock for the 53-man roster and who is on the bubble. Next up are the Cornerbacks. Bill Belichick likes to say that the spring’s OTAs and Minicamp is a learning exercise and that the real competition begins in training camp. While that is true to an extent, with 88 players on the current roster, a minimum of 35 of these will be cut. That doesn’t take into consideration the tweaking that goes on during the season after the initial 53-man roster is completed. So the next position to break down are the corners. Given the epidemic of injuries suffered by the Patriots last season, they were fortunate that both starters Malcolm Butler and Logan Ryan remained healthy. Entering last season, there were nothing but questions about the corner position after jettisoning all three starters from the Super Bowl winning team. Rather than being a weakness, corner became a position of strength in 2015. Butler parlayed his SB heroics into a very solid first season of starting. Ryan came on strong in his third season and played solid. Justin Coleman surprised some people and played well as the slot corner. But depth was an issue. The team brought in veteran Tarell Brown to add that veteran presence and he played very well in small glimpses until he went on IR. 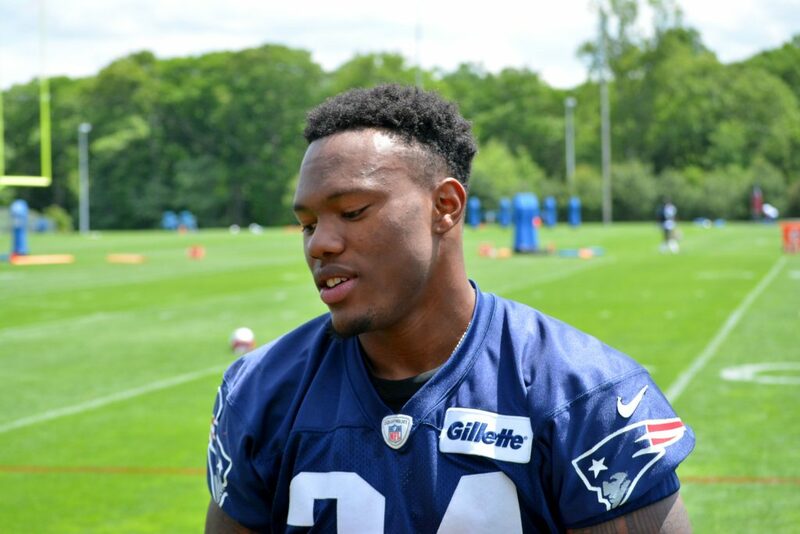 This season the team brought in Cyrus Jones with their top draft pick and a trio of smaller, but very athletic corners in Jonathan Jones, Cre’Von LeBlanc and V’Angelo Bentley as UDFAs. They’ll be competing with veteran E.J. Biggers and 2nd-year player Darryl Roberts who turned some heads in training camp before suffering a wrist injury and landing on IR in preseason a year ago. If there is an issue with the corners this season other than overall experience it is size. Only Biggers and Roberts are 6’0 tall and neither are locks to make the roster. In a league dominated by the big men at WR, this could be an issue but the team made a concerted effort to get more athletic and all of the new corners have Special Teams capability as well. No big shocks here, and there is a big difference from a year ago. Butler was able to go from a walk-on, tryout basis to Super Bowl hero and now is a Pro Bowl cornerback. The funny thing is, he’d be the first to say that he still has a long way to go. So if he can continue to progress, he should be an extremely valuable piece for years to come. Right now he is a bargain at his current cap hit. The Patriots can either decide to pay him with an extension quickly or hit him with a franchise tag to buy them more time with Hightower, Collins, and Sheard also on deck. Ryan rebounded very well from an awful 2014 to play very solidly a year ago. His consistency could still stand to be better but it is safe to say that he far outperformed expectations in 2015. Ryan may get pushed this season by Jones who will at the very least compete for the slot corner duties. But I wouldn’t be shocked to see the rookie from Alabama in the starting lineup sooner rather than later. Jones has some of those qualities that teams covet in their corners. He’s physical and tough, and can play press man. He’s very confident and feisty and is an outstanding returner in the kicking game, returning four kicks for touchdowns in 2015. He was also a good teammate who was highly thought of inside the locker room. The team is in very good shape with their top three corners. The only thing lacking is once again the size aspect. Here is where the competition really begins to get interesting. The remaining six players are essentially fighting for two, possibly three roster spots. And the race is essentially wide open. Coleman bounced around between Minnesota, Seattle, and the Patriots before winning a job a year ago. He appeared in 10 games and had six starts in 2015, playing solidly in the slot. Now he’s looking to take the next step in his second season with New England. Roberts was a very athletic late 7th round draft pick a year ago. He ran a 4.38 time in the 40-yard dash, a 6.66 time in the 3-Cone Drill, a 39-inch Vertical Jump, an 11’1” leap in the Broad Jump and benched pressed 225 pounds 23 times. He impressed in the early going at training camp and earned the start in the 1st preseason game. He injured his wrist in that game and was lost for the season on IR. Biggers is the elder statesman in terms of age at just 29. He’s spent time with the Redskins, Bucs and Eagles where he was a serviceable corner in 2015. He also can be a gunner on the STs. 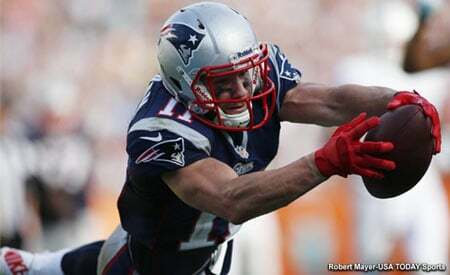 The Pats wanted to see what he could do early this spring and he saw lots of reps during OTAs and minicamp. Jonathan Jones is an intriguing case because, although he’s listed at 5’10, that is being generous. He lacks the size that teams are looking for but he more than makes up for with his tenacity. Another exceptional athlete, Jones was once the National Hurdles champion. Of the undrafted corners, he looked very solid this spring and was arguably the best on the field. But once the pads come on, can he continue his solid play? He will bear close watching this summer. He’s a dark horse to make the roster but don’t write him off just yet. LeBlanc and Bentley played well in the spring but are facing a numbers crunch more than anything else. They face an uphill battle to make the roster but will probably find their way onto the practice squad if they falter. LeBlanc impressed in the limited window that I watched him during minicamp. A smaller (5’9) corner but with an impressive build, he showed some nice footwork as he was able to mirror the larger WRs he was matched up against. He’s aggressive and physical and plays with an air of a young player who isn’t intimidated by the stage. He has kick return ability and was known as an effective blitzer in college. Bentley comes from a military background, his mother served in Afghanistan which will resonate well with Bill Belichick. Something else that will reverberate is the Illinois grad is another STs return man, scoring on a kickoff, punt return, interception and fumble in college. 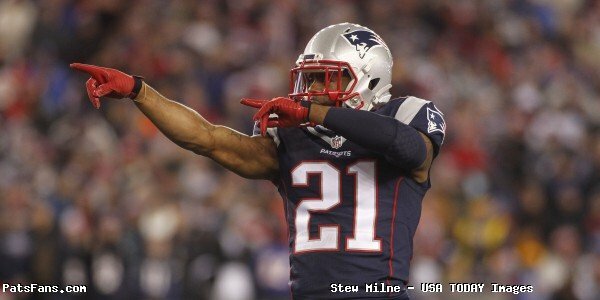 Check out our earlier primers on the running backs, wide receivers, tight ends, offensive line, defensive line, and the linebackers And be sure to keep tuned into PatsFans.com during training camp as we’ll post daily updates from down in Gillette. 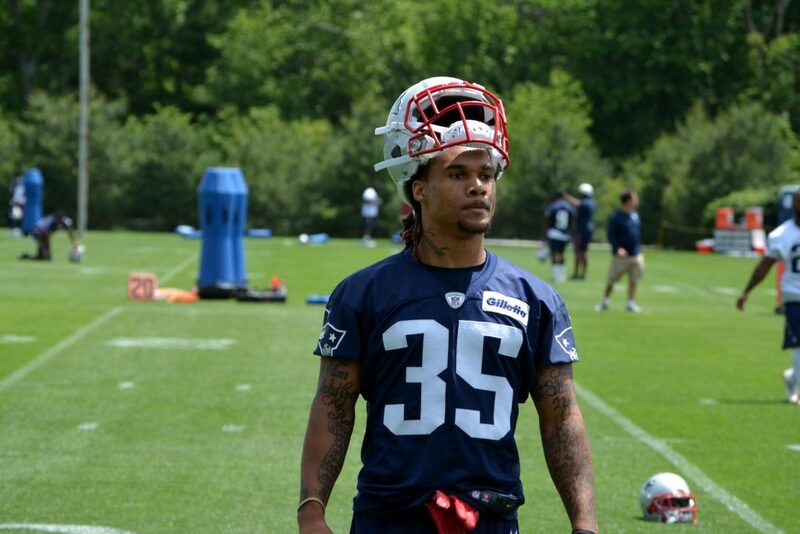 This entry was posted in Patriots Commentary, Patriots News and tagged 2015 NFL Season, 2016 NFL Draft, 2016 Patriots Draft, 2016 Patriots Roster, 53 Man Roster Projection, Bill Belichick, Cre'von Leblanc, Cyrus Jones, Darryl Roberts, E.J. 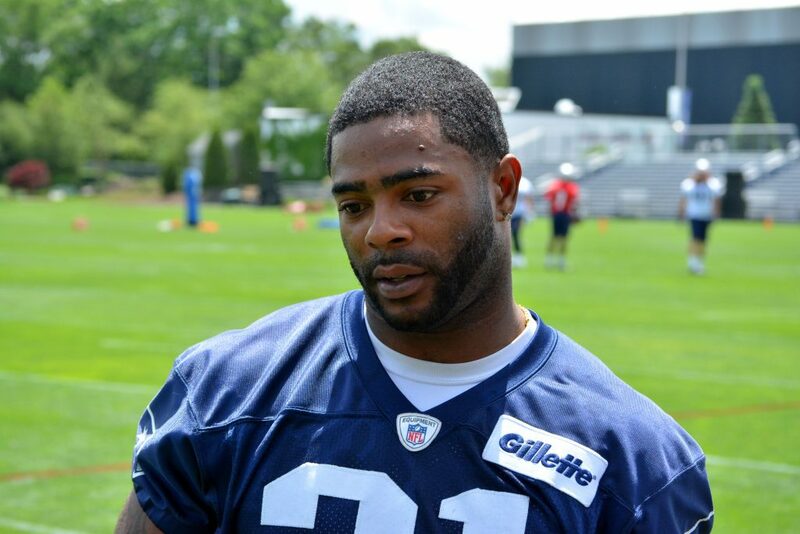 Biggers, Jonathan Jones, Justin Coleman, Logan Ryan, Malcolm Butler, Patriots, Patriots cornerbacks, V'Angelo Bentley on July 25, 2016 by Steve Balestrieri.